Where to hunt? The eastern edge of the preserve is recommended as the best hunting area. The forest was logged in the 1990’s and has browse and logging trails. The following aerial shows good places to park along Lopez Sound Road where old skid roads provide walk-in access. This zone is separated from the hiking trails on the rest of the preserve so there is less chance of hiker interactions. Nearby houses are marked in red. Lopez Hill is a 400-acre preserve with multi-use hiking and biking trails. Please be aware that others are recreating on public lands during the hunting season. If you are successful in your endeavors, please consider the other users of Lopez Hill, and keep gut piles away from public areas. This helps to maintain a good relationship between hunters and hikers, and ends up benefiting everyone. 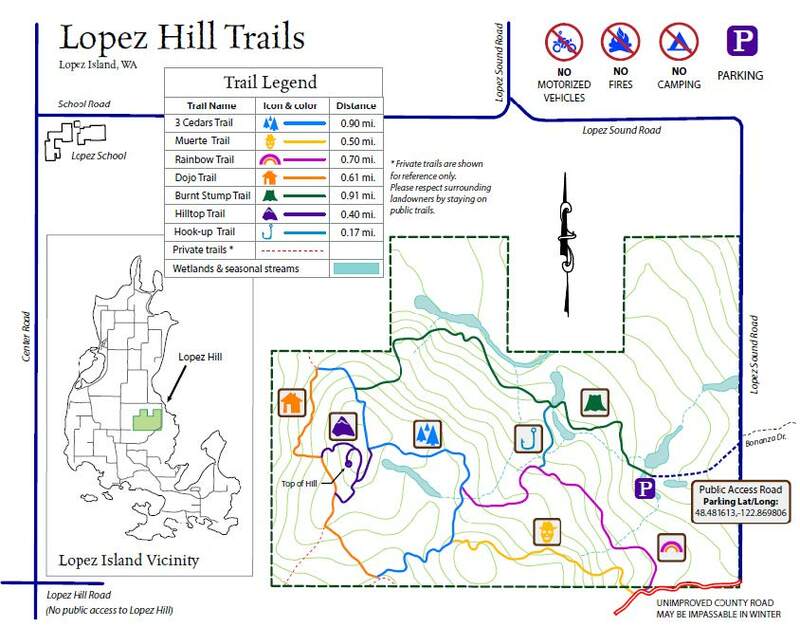 Click this link to download a copy of the Lopez Hill Trails Map . There are no facilities at Lopez Hill, and no camping or fires are allowed. For campgrounds, try Odlin County Park (360-468-2496) or Spencer Spit State Park (360-468-2251). If you are interested in the late season hunt during November 15-18, the only public lands open on Lopez Island are in the San Juan Islands National Monument. 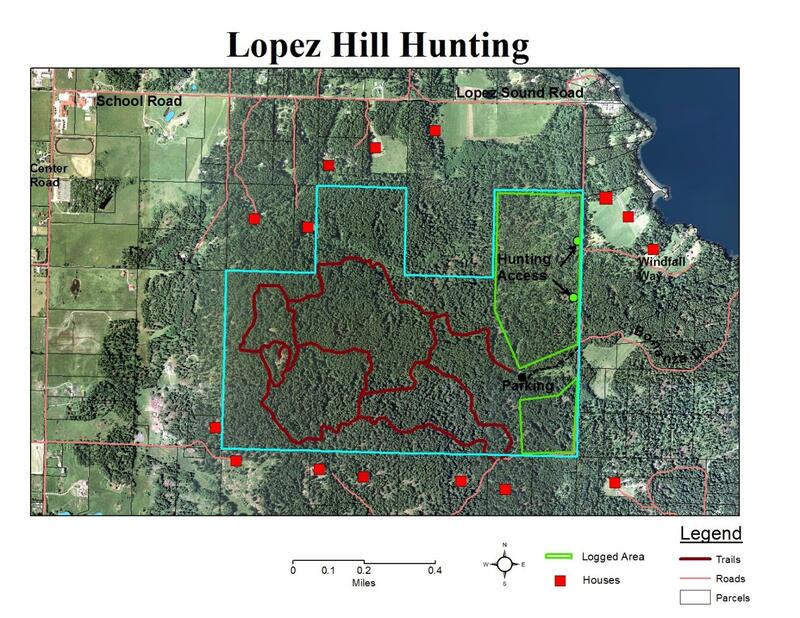 They have about 400 acres on the south end of Lopez. The person to contact there is Nick Teague (360-468-3754, gteague@blm.gov). See Hints for Hunters 2018 SJINM_SJCLB with LNT for more details. The best of luck to you! Our deer may not be quite as big as the mainland deer, but there are more of them. If you have any other questions, contact the Land Bank office at sjclandbank@sjclandbank.org or 360-378-4402. 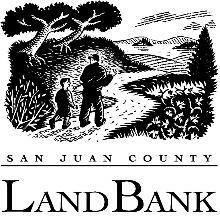 —The information in this post was provided by San Juan County Land Bank.